“Romantic Leaf Shapes,” one of Dilenschneider’s paintings. 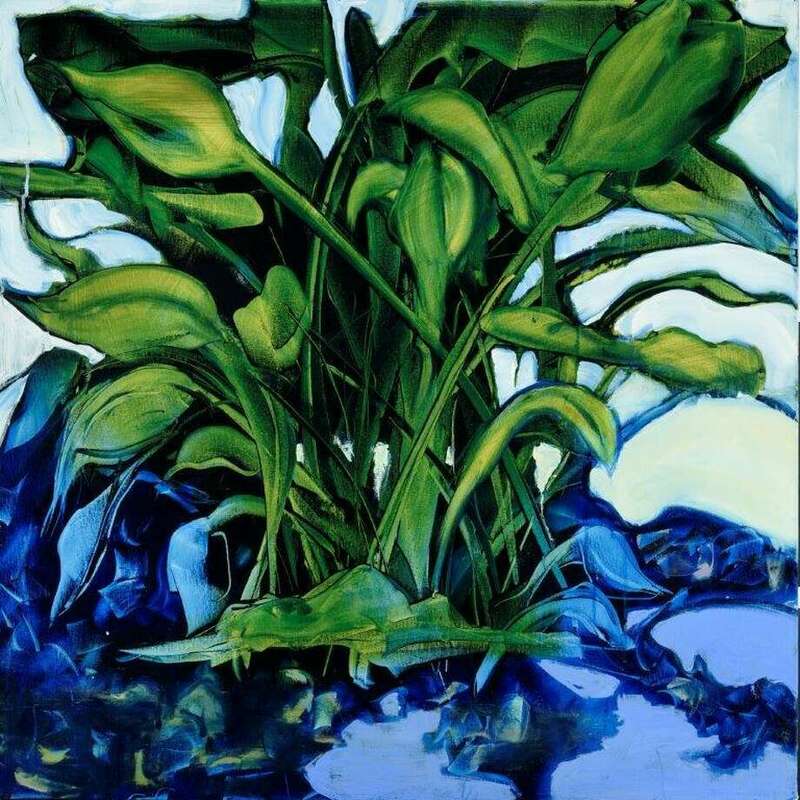 DARIEN — For the sixth time, a Darien artist will have her art exhibited in the French capital. Jan Dilenschneider will open an exhibition of 20 paintings in Paris at Jardins en Art on Tuesday. The exhibition will focus around foliage and trees, she said, to help people understand their impact on nature. She said her purpose in her work is to highlight the beauty of nature. Though she wanted her work to be impactful, she didn’t want to chastise viewers. Dilenschneider said she didn’t want these discussions to simply end at people picking up after themselves. Instead, she hopes to inspire even CEOs to make improving the ecology a theme at their companies. Having viewers look at her work and participate in the conversation is the highest level of compliment, she said. In her first couple of shows in Paris, she was called the “new impressionist” because the colors she used in many cases were not different from those used by other impressionists. While she loves the impressionist palette, Dilenschneider said she would consider herself an expressionist. Dilenschneider said she is inspired by the environment around her. From the color of the sky to a reflection of a tree in a water, she draws from her surroundings for inspiration. Sometimes she takes pictures of leaves, as well as collects them to use as inspiration for her paintings. While she is inspired by the environment around her, she makes sure she personalizes all her artwork. Dilenschneider said she tries to never do the same thing twice. Dilenschneider’s new exhibit serves as an extension of the one she had in Paris in July at the Pierre-Alain Challier Gallery. “Sublimer la nature” (love of nature) is the title of both exhibits. “My passion and my love is the color that nature brings to us and the relationship between these colors,” she said. With her sixth exhibit in Paris, she said she wants to continue to evolve her style. In April, she will have a show in Mystic in partnership with the Mystic Aquarium.